Google Drive is one of the mythical creatures of the tech rumor mill since 2006, but it could finally be with us next week, according to reports. Claims of an upcoming launch of the service have been proven false before, but the latest evidence via leaked information would indicate that perhaps now is the time. However, since 2006, the way we use Web services and store files have changed. We have Dropbox to keep local files in sync, as well as a shareable cloud copy; Amazon Cloud Drive can store up to 1 TB for you in the cloud; and Microsoft has SkyDrive. Even Apple rolled out its unified iCloud before Google, so with lessons learned from the experience of its competitors, here are five main things Google Drive needs to win me over. Five GB of free storage for Google Drive would be more than double Dropbox’s 2 GB offering. 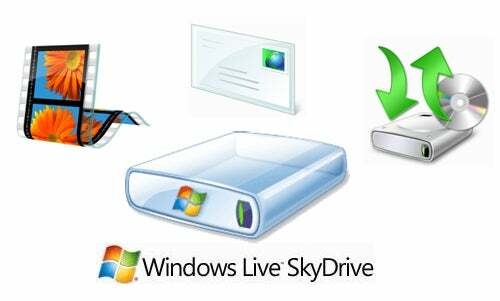 But Box.com and Amazon also provide 5 GB, and Microsoft's SkyDrive offers 25 GB, with 5 GB available for syncing to a local file folder in Windows. Apple’s iCloud service provides 5 GB free but has no option to be used as an online drive. For people to use Google Drive beyond storing just a few documents, they need more ample storage, at least like SkyDrive. You have files attached to e-mails in your Gmail inbox (7 GB+), files in Google Docs folders (1 GB), files in your Picasa Web Albums (1 GB), up to 100 GB of songs on Google Music and virtually limitless photo and video storage on Google+, but nowhere to keep all your files stored with Google in one place. Google Drive should create folders that would automatically pull all the files associated with your Google account, so you can easily search through them. This is where Dropbox excels, with a local copy of your folders, and changes are slowly sent through to the cloud in the background. The version of the Google Drive app that TechCrunch spotted indicates there will be a native app for Windows and Mac, which presumably would work like Dropbox. You should also be able to select which folders you’d want synchronized locally -- so you don’t have to keep a local copy of your photo gallery on Picasa on all your computers. Just like Dropbox, Google Drive would need good mobile apps, because that’s where you pay a lot of money for storage. For Android, Google would need to integrate Drive upload functionality into its own apps, while on iOS, it would need an app for iPhone and iPad. It also would need to win over third-party developers to integrate functionality in their apps. Google already has a better pricing scheme than competitors, at $5 for an extra 20 GB, compared to $40 on iCloud, for example. If Google sticks to this pricing, you could get 400 GB cloud storage for only $100 per year, compared to $500 for 500 GB on Amazon Cloud Drive. What features would you like to see in Google Drive?